Conveniently located at 108 W. Wilson Avenue in Glendale – California. 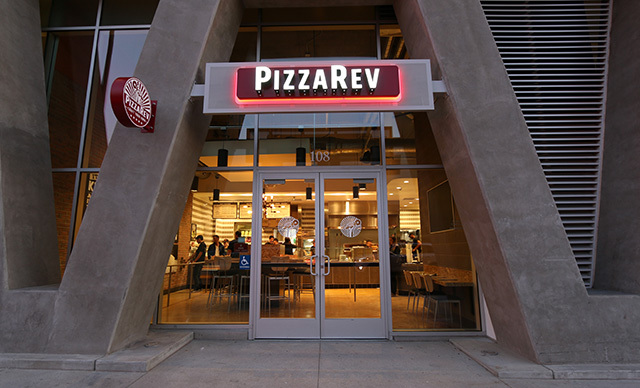 PizzaRev specializes in thin and crispy personal-sized artisanal pizza that you build yourself choosing all your favorites from our homemade dough options, all-natural sauces, premium Italian cheeses and over 30 topping options -- all for one flat price! Gluten free and vegan options also available. Once completed, your pizza is flame-fired in our stone-bed oven in just three minutes.